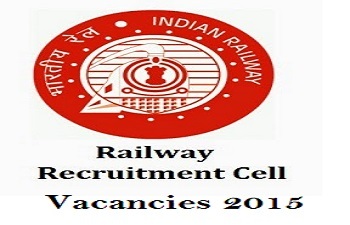 Railway Recruitment Cell, Central Railway has issued RRC Recruitment Notification 2015 for the posts of Sports Quota. It is a good opportunity to those aspirants who are passionate to work in Central Railway. The Employment Notice No. 01/2015 contains the total vacancies of 52 posts based on Sports Quota. This Vacancies in railway board can give a great opportunity to change your life. The Interested candidates who are willing to apply for this post can apply on or before 30th September 2015. Check out the more details like Educational Qualification, Eligibility Criteria, Age Limit, Important Dates and more regarding RRC Recruitment 2015 Sports Quota Vacancies below. The Candidate Age should be more than 18 years and should not be less than 25 years as on 01/01/2016. 10th/ 12th, ITI / Graduate can apply for this posts. Pay Band Rs 5200-20200 + Grade Pay Rs.2800/2400/- Minimum Graduation in any faculty by a recognized University. Pay Band Rs. 5200-20200 + Grade Pay Rs. 2000/1900/- Minimum HSC/Intermediate/Equivalent by a recognized Board. Pay Band Rs. 5200-20200 + Grade Pay Rs. 1800/- Minimum SSC/Matriculation/ITI/Equivalent by a recognized Board. The application fee for the candidates belonging to the categories of Unreserved and OBC is Rs.100/-. The application fee must be paid in the form of Indian Postal Order (IPO), drawn in favour of and payable at as follows. SPO (RT), Central Railway, Mumbai & Payable at Mumbai. The Candidates whose belonging to the categories of SC/ST, Ex-Servicemen, Women, Persons with Disabilities, Minority candidates, Economically Backward classes are exempted from the application fee. The Candidate will be selected on the basis of Trial and Interview. The candidates fill up the application with utmost care and attach the required documents then send the cover to the below address. Last Date to Apply : 30/9/2015. Please Share this RRC Recruitment 2015 article to your friends to aware of this vacancies.